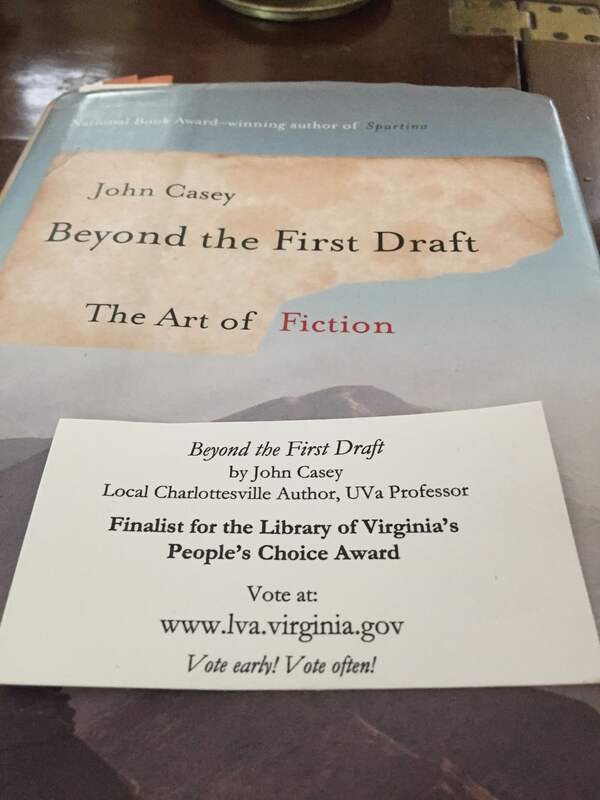 Beyond the First Draft has been nominated for the Library of Virginia’s People’s Choice Award! Visit the Library’s website at http://www.lva.virginia.gov to vote now. We are all readers before we are writers, and if you pay close attention to what Mr. Casey, who won the National Book Award in 1989 for his novel “Spartina,” has to say you will be a better reader—and possibly even a better writer. You will certainly both read and write more enjoyably, and this is what matters.